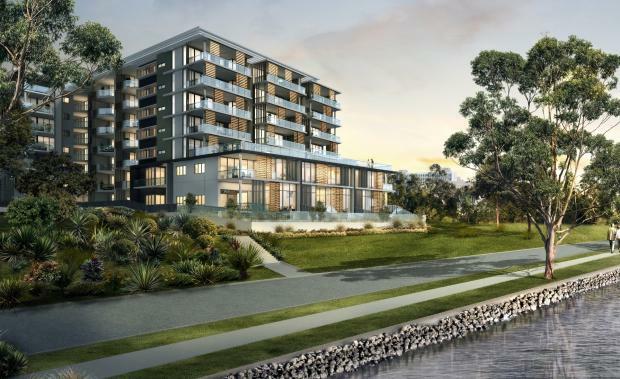 A $77 million residential apartment project has been earmarked for a waterfront site in the heart of Brisbane’s West End after being given development approval by the Brisbane City Council this week. SOKO Waterfront, being developed by the Brisbane-based Spyre Group, will have 120 apartments overlooking the Brisbane River and Toowong. SOKO’s apartments will come in one, two and three-bedroom configurations and will be topped by an expansive rooftop recreation area and will be launched in coming months. Spyre Group purchased the 2946 sqm Duncan Street site in July 2014. SOKO Waterfront will be five minutes from the CBD and a short walk from South Bank and West End’s cafes, restaurants and shops. SOKO[/caption]Spyre Group managing director Daniel Laruccia said SOKO would appeal to a mix of owner occupiers and investors wanting a luxury apartment lifestyle close to the CBD. “SOKO will offer luxurious and expansive apartments wrapped in sophisticated architecture and styling in a prime location with spectacular views,” he said. Marketing agent Syd Walker, of Place, said West End has become one of Brisbane’s most liveable suburbs with demand increasing for luxury apartment product close to the city, and particularly for prime waterfront lifestyle. The rooftop recreational retreat will feature a swimming pool with wet edge seating, sauna, outdoor kitchen and entertaining spaces. Established in 2008, Spyre Group has completed over $60 million in projects, chiefly in South East Queensland. The company has grown from a family-based business to a development group backed by high net worth investors.